The Redman family, Redman winery, red soil and red wine are the four R's that comprise the Redman coat of arms. All interdependant upon each other, they work in harmony to produce the famous wines of Coonawarra. The association began in 1901 when Bill Redman, at the tender age of fourteen arrived in South Australia's South East to work in the vineyards. He quickly formed an affiliation with the area and six years later encouraged the rest of his family to join him. As the family settled, their interest in the region became more substantial with their purchase of forty acres of vines in 1908, displaying their incredible foresight and commitment to the area. Owen Redman was born in 1919, becoming the first member of the Redman family to be born in the area, confirming the family's association with Coonawarra and its winemaking history. Bill Redman's greatest desire and passion was the crafting of fine red wines, therefore in 1921 he handed over the responsibility of distribution to Woodley Wines. His faith in the acclaimed terra rossa and in his own ability was truly vindicated when the 1932 Redmans Claret won the 1936 Empire Wine Show in London. Just prior to enlisting in the army in 1938, Owen Redman completed his first vintage, and it reaffirmed his longing to continue the family tradition of fine wine making. Upon his return from the Second World War, Owen found that the family winery had undergone surprising growth, due to the support they received from many local grape growers. In 1947 Redman's first entry into the Australian Show arena took top prize at the Adelaide Wine show, this not only enhanced the reputation of the Redman winery but also established Coonawarra as a great wine growing region. Driven by the pride and honour of the Redman name, Owen re-established the family winery in the following year by purchasing a vineyard owned by Arthur Hoffman. Continued success and growth allowed the Redman family to increase their holdings, and eventually acquire the land on which the winery stands today. After a lifetime of serving his family, the Australian Wine Industry, and in particular his beloved Coonawarra, Bill Redman died a proud and honourable man in 1979. 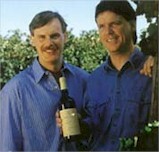 With the passing of Owen Redman in 1989, control of the winery passed into the hands of Bruce and Malcolm Redman, the third generation of the family dynasty. Today Hardy Wine Company acts as the sole distributor for Redman worldwide, and with the aid of this extensive distribution network the winery is going from strength to strength. 1994 saw the release of the first new Redman wine in eighty years, the Cabernet Merlot, while 1995 saw Redman win its 450th show award for dry red wine since 1947. The pride in their forebears achievements can be seen in the determined and committed faces of Bruce and Malcolm Redman, and this determination will ensure that Redman continues to be a family tradition.